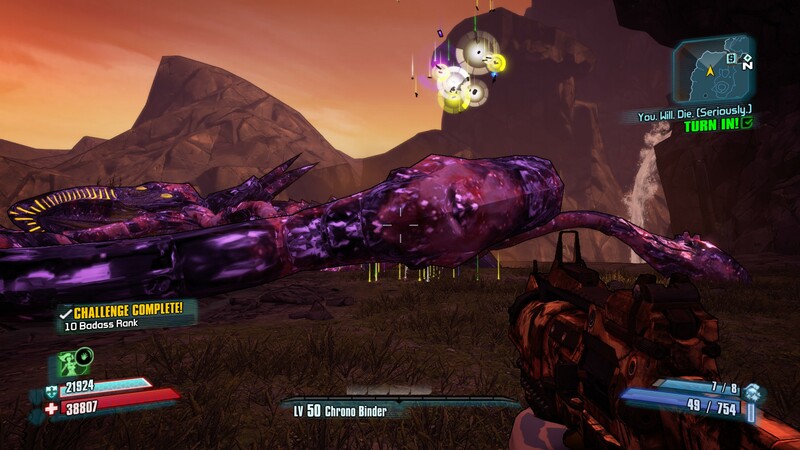 Posted by spiii on 4 November 2012 @ 17:41 and filed under Borderlands, Deja Vu, Left4Dead. You can follow any responses to this entry through the RSS 2.0 feed. You can leave a response, or trackback from your own site. Haven’t hit the level cap in Borderlands 2 yet? Wondering if it’s worth the time? If you like Diablo and FPS, you’ll enjoy the RPS approach to looting bazillions of guns (i.e. opening boxes) that is Borderlands 2. But don’t take my word for it—let’s compare heroines! You may remember Lilith from the original Borderlands. She’s back in a cameo role, but Borderlands 2 serves up 5 new playable classes including 2 heroines, 1 hero, 1 robot and a dwarf. D374-TP “Deathtrap” robot. And a BA gun! Legendary lunch box: 20% cooler with more pep! Med pack. Don’t leave home without it. Minecraft caves, minecraft heads, minecraft skins and minecraft weapons! Is this is a mod? It’s golden, it’s got skulls and contains treasure, me hearties! Did a boomer cough this up? If tickling an uppity worm again and again from different angles in the hopes it might drop a legendary orange item amidst the plethora of green and white junk loot is as important to you as it is to me—then yes! Seven dwarves were offended in the writing of this post. The Sacrifice … was it all for nothing? Torgue’s Campaign of Carnage out now!